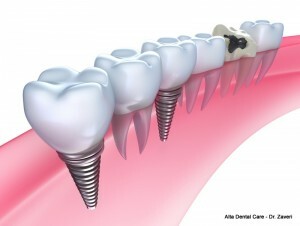 For many patients, having teeth extracted or dental implants installed is not the hardest part of the whole procedure. It’s the time in between losing the tooth and waiting for the gum tissue to heal so they can receive a replacement that is more difficult. This could be several weeks or months depending on the patient’s circumstances. In the meantime, they must wear a removable denture or go without replacement teeth at all. Alta Dental in Upland, California has eliminated this problem with same day dental implants. We are pleased to offer patients the option of receiving their dental implants in a single appointment using CEREC. The CEREC acronym stands for Chairside Economical Restoration of Esthetic Ceramics. This technology enables Dr. NehalZaveri to create customized dental implants and crowns using a computer program and 3D, CAM, and CAD options as well. This is a vast improvement from having to visit the dentist several times over a period of months to receive full or partial dental implants. 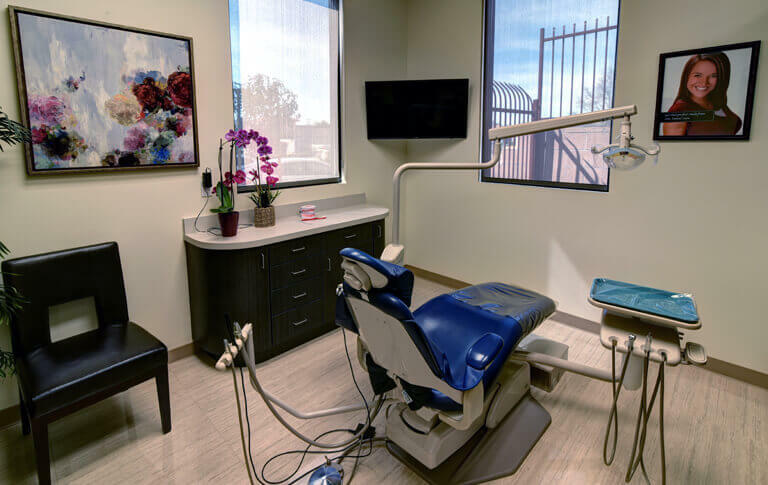 The first thing Dr. Zaveri does when you arrive to your appointment at Alta Dental is prepare the area receiving a dental implant by spraying a powder spray of blue anti-reflective material. With the 3D imaging camera, he then uploads the image to the CEREC computer. The computer collects the data required to restore your tooth and transmits it to a milling machine in our office. After the machine constructs your dental implants using ceramic resin or a composite block, Dr. Zaveri picks them up. He then places the supporting rods for your dental implants and attaches the replacement teeth to them all in one visit. If your oral health is normally good, you’re likely a good candidate for the CEREC procedure. Getting your replacement teeth in one day has many advantages over the traditional method of receiving dental implants. You never have to wear a removable denture nor do you have to feel self-conscious about having a gap in your smile. Dr. Zaveri takes special care to ensure that your same day dental implants match your remaining teeth as closely as possible. The procedure is so quick and the implanted dentures so natural that you will soon forget you had teeth replaced at all. We know you have a life to live and CEREC helps you get back to it quickly.